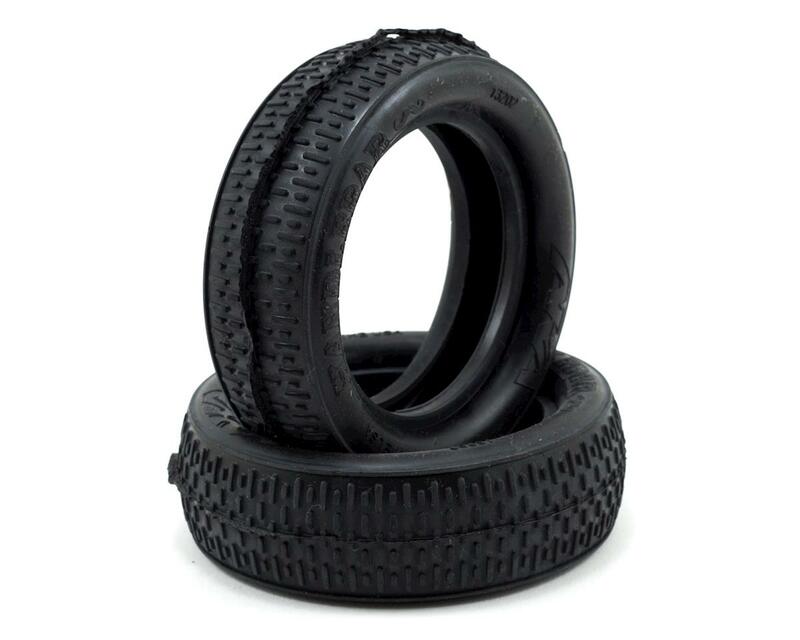 This is a pair of two AKA Racing Handlebar 2.2 Front 2WD Buggy Tires. These tires do not include inserts. This indoor low-profile tread pattern features minimal tread height for speed, stability and traction on hard-packed surfaces. The leading and trailing edges of the treads have been rounded to minimize break-in time while AKA's proprietary compounds provide low tire wear. 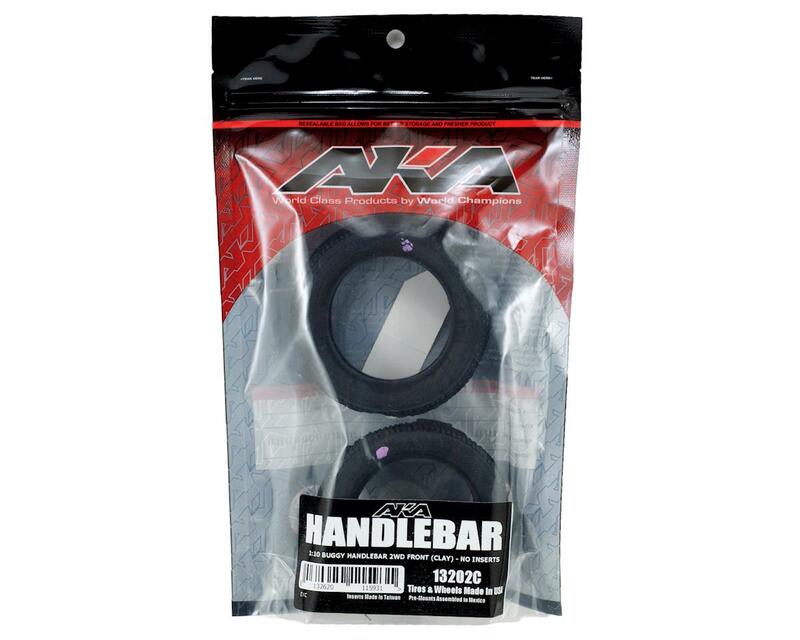 The Handlebar is available in Soft, Super-Soft, and the Clay compound. Kyosho's Jared Tebo and Team Associated's Ryan Cavalieri put their stamp of approval on the Clay Compound Handlebars at the 2013 CRCRC Midwest Champs. They put in a combined effort of 4-TQ's and 4-1st place finishes in their first race on the Handlebar tires.